How close does Hanna get to the truth during the first season of the Hanna TV show on Amazon? As we all know, the Nielsen ratings typically play a big role in determining whether a TV show like Hanna is cancelled or renewed for season two. Amazon and other streaming platforms, however, collect their own data. If you’ve been watching this TV series, we’d love to know how you feel about the Hanna season one episodes. We invite you to rate them for us here. *Status update below. 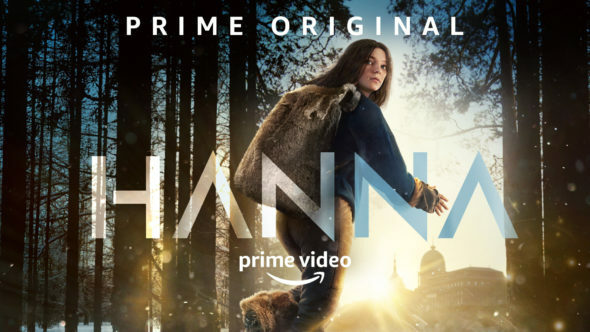 An Amazon Prime Video action drama, Hanna stars Esmee Creed-Miles, Joel Kinnaman, Mireille Enos, Joanna Kulig, Rhianne Barreto, Khalid Abdalla, Justin Salinger, Félicien Juttner, and Benno Fürmann. Based on the 2011 feature film of the same name, the story centers on Hanna (Creed-Miles), a young girl who has been raised in the forest. Fifteen years prior, Erik Heller (Kinnaman) rescued baby Hanna from a secret Romanian facility and raised her to be an assassin. Now she’s on the run from CIA operative Marissa Wiegler (Enos).